Liverpool is a city with an air of stylish tribalism. Instead of being an exclusive club, however, outsiders are welcomed, encouraged to join in to experience the vibrancy, humour and attitude on offer to everyone who arrives at Lime Street – along with the promise of a cultural adventure. Within galleries, museums, magazines and the local people, there is proof of the unique and spirited Liverpool which is recognised by artists, designers and creative minds all over the country. Liverpool is known for its culture through a long list of interests; music, football, TV, architecture, night life and most importantly, its people. Liverpudlians are affectionately famed for their sense of humour, friendliness, bravery, boldness and their distinctive sense of style. With this style comes a strong sense of identity, which is driven by fashion, recognised by the rest of the country and 100% Liverpool. But what constitutes this identity? In discussions of groups of people, social psychologists speak of ‘local realities.’ This phrase suggests that different areas have a version of reality which is unique and interesting to outsiders and visitors. To experience a ‘local reality’ can offer a way to really get underneath the skin of a place. Beginning to understand and value these local traits for their individuality can replace generalised views and stereotypes with an appreciation for the local way of living. Liverpool is a city with a wealth of ‘local reality’, which many other cities and towns look at with fascination. This can be explored by recognising the importance of the tourist-led elements of the city, but also by getting involved with local Liverpudlian commonplaces. By acknowledging the city as more than simply the old Dock or the home place of the Beatles, the real spirit of Liverpool can begin to shine through. On Matthew Street. Photo: Eric the Fish. Earlier this year, the Open Eye gallery in Liverpool housed the exhibition ‘North: Identity, Photography, Fashion’ which explored how the North of England is depicted, constructed and celebrated through photographs, artworks and fashion collections. The show brought together collective themes in the discourse surrounding the North of England, in which Liverpool played an important role. The show featured different aspects of the ‘local reality,’ depicted through photography, fashion, journalism, publishing, film, and through snapshots of real life within the North of England throughout various time periods. The exhibition featured photographer Alice Hawkins’ distinctive project ‘The Liver Birds’. In 2013, Hawkins produced these photos for LOVE magazine, and in them the identity and character of Liverpool is creatively depicted. The images show an unconventional yet perfectly curated mix of well recognised British models and local Liverpudlian women with a high-fashion focus. A sense of a particular female identity borne through the Liverpool style is communicated clearly through the images. This is strikingly supported by the timeless backgrounds around Liverpool’s streets and history-rich dock areas. In an interview with Alice Hawkins, she describes her fascination with the Liverpool way: ‘Seeing girls in Liverpool walking around with their hair in rollers with full make up was a real treat.’ Through recognising the reality of the city, the ‘treat’ that Hawkins describes is often understood as a stereotype of a ‘typical Liverpudlian woman’. Taking time over their appearance and committing to the process so much that hair rollers are worn out and about during the day in preparation for the perfect ‘look’ is commonly seen around the city. Only outsiders find this unusual. Hawkins, a successful and celebrated photographer, used this ‘local reality’ its people, in a high-profile and high-fashion focused way. ‘I found the unexpectedness of seeing bold glamour set against mundane industrial environments naturally visually interesting. I wanted to get across the existing juxtapositional relationship between the two – the reality.’ With this came the combination of fashion models and local women, which celebrates the physical sense of the city and its link with its local people. Hawkins states that she ‘knew Liverpool exuded glamour’ and with that in mind, she admitted that she ‘intended to find extra-ordinary people in Liverpool… really glamorous and brave girls.’ Her creative depiction of Liver-girls celebrated this in a positive light, highlighting the unique ‘look’ which Liverpool is famous for. 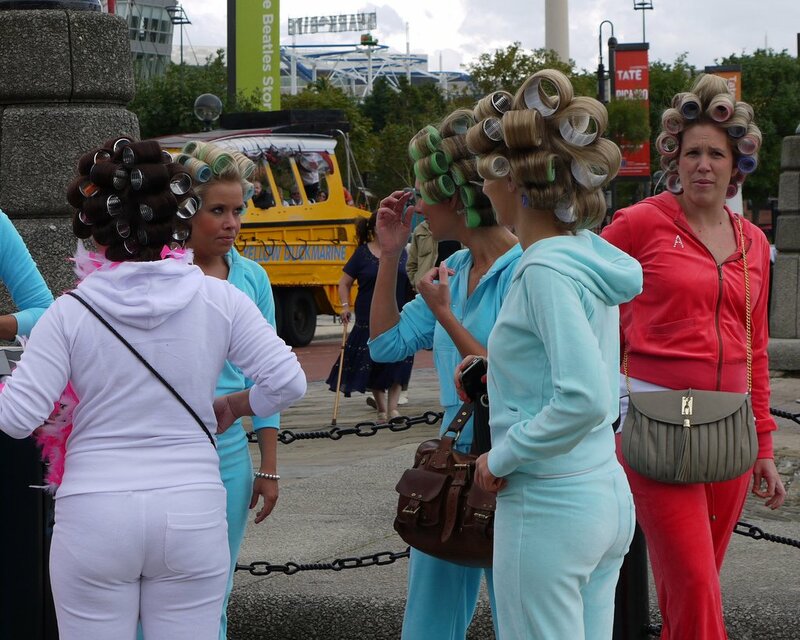 Wearing hair rollers while out and about and casually wearing a full face of make-up have come to be known as stereotypes linked to Liverpool (which can be manipulated negatively). Thomas Dukes, curator at the Open Eye gallery describes stereotypes as ‘visual shorthand’ which are used when wanting to remove ourselves from a situation we may find ourselves in in order to analyse it. This should not be deemed as a negative thing, rather something that should be used as a way of understanding, and a way to embrace a fascinating element of identity and belonging. This is especially true when a stereotype is understood for its theoretical, and quite simple, meaning of being a way to categorise information. Viewing a stereotype in a negative way can suggest negative attitudes and with that, negative links to living in certain ways. Roller Girls. Photo: Jenny Poole. 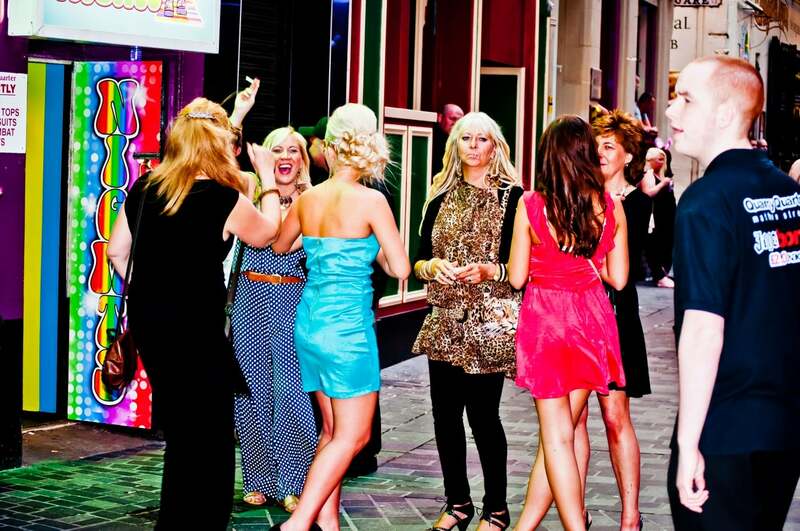 When in Liverpool it doesn’t take long to realise that there is an obvious link between the attitudes of Liverpool’s women and the atmosphere of the city itself. Can one be present without the other? The history of the city is not a well-kept secret, but a loud, proud and bellowing part of the North West. There are countless museums, shops, bus tours, books, exhibitions, t shirts and stories from aging relatives present and dedicated to celebrating the city. It would seem an impossibility for these influences to evade its people. As Liverpool’s past is woven into its present – history-rich dock structures turned into hotels, warehouses turned into restaurants and factories turned into bars – the city’s progress as well as its past shines through. Could this be a contributing factor to the boldness, beauty and pride witnessed within the people of Liverpool? The unapologetic enterprise that goes into a night on the town is distinctive, and as a young woman from Anfield noted, ‘half the fun, isn’t it?’. As noticed by Hawkins, to her, a night out requires a new dress, heels and a full face of make-up by a professional, but she admits that she wouldn’t go to this much effort if she was going on a night out in a different city. 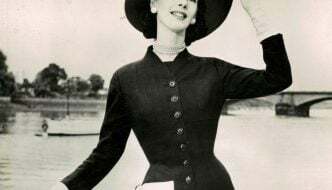 ‘I wouldn’t feel comfortable going out in town if I wasn’t dressed up’, she confessed, ‘everyone else would look so fab and like they’d put more effort in than me and I wouldn’t enjoy myself’. Achieving a state of balance between inclusion and distinctiveness is a struggle in cities and towns all over the world. Striking this balance contributes towards the socially constructed identity of a place. To fit in with the city a person belongs to, yet to stand out from everyone else, is a concept undoubtedly seen in other environments. Yet it has become a Liverpudlian’s distinctive shine – celebrated by outsiders and represented though art works which can be viewed all over the world. ‘The Liver Birds’ by Hawkins is proof of the wealth of inspiration the city can offer an artist, which has been rightly appreciated. Today, Liverpool is at the forefront of an exciting culture focus, built around its history, successes, difficulties and regeneration. The present day, glamour-focused women of Liverpool are evidence of this spirit surviving the test of time while growing stronger with every ounce of progress the city has made into the cultural hub it is today. Liverpool’s ‘local reality’ is one of celebration and boldness. You couldn’t miss it, even if you tried. 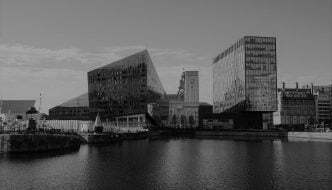 Within galleries, museums, magazines and the local people, there is proof of the unique and spirited Liverpool which is recognised by artists, designers and creative minds all over the country. Liverpool’s 'local reality' is one of celebration and boldness. You couldn’t miss it, even if you tried.